Under the Housing (Wales) Act 2014 new legal obligations are imposed on landlords who rent property in Wales. Under the Act all landlords in Wales must become registered with Rent Smart Wales. This obligation commenced on the 23rd November 2015 and landlords have a year to comply. Therefore by the 23rd November 2016 if you are a landlord you must have registered with Rent Smart Wales. The cost of registering is £33.50 if completed online and £80.50 if it is submitted by way of a paper application form. The landlord must include the addresses of all rental properties that they have which are rented on an assured, assured shorthold or regulated tenancy. The landlord’s registration will last for five years after which time they must re-register and if circumstances have changed within that five years they are obligated to inform Rent Smart Wales, so for example if they have changed correspondence address or if they purchase a new property for rental. Landlords who self-manage their properties must apply for a landlord licence, this is in addition to having to register as a landlord. To obtain a licence the landlord must complete a training course. The papers are then submitted to Rent Smart Wales who will determine whether a licence can be granted on the basis that the landlord is a fit and proper person. Again the licence is valid for five years. 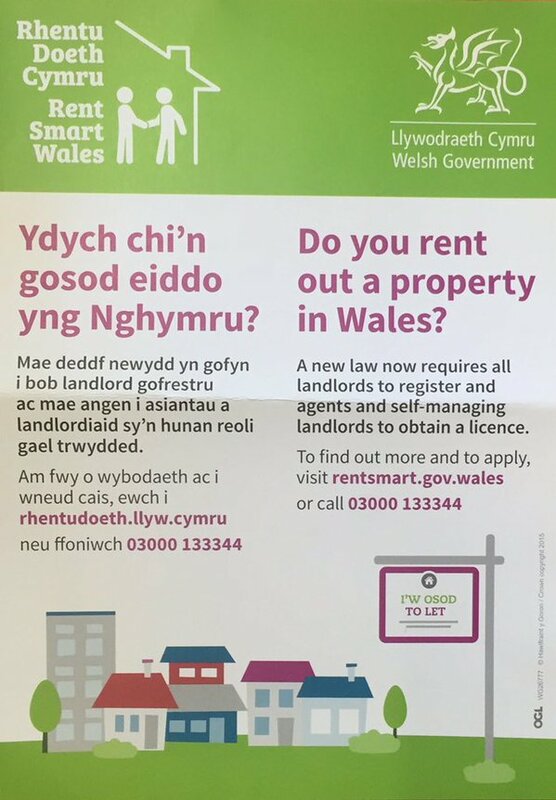 If you are a landlord with property in Wales please visit the Rent Smart Wales website at www.rentsmart.gov.wales for further information and the relevant application forms.